Thank you for taking the time for this interview. Your international fans will be happy to learn more about you and your various music projects. You’ve been very busy the past year. In June, you released a full album, Welcome! , as Fuki Commune. The album has many hard rocking songs, but there are also some pop songs and a ballad. One song , “Kurui Zake Setsugekka”, even uses some traditional Japanese instruments. Did you see this album as an opportunity to explore some other musical styles that you normally wouldn’t perform with LIGHT BRINGER or Unlucky Morpheus? Fuki: I’m frequently asked if I change the style of singing for each band, since I belong to several bands at the same time. I don’t change styles with each band, but rather with each song, or even each verse. I challenge myself to sing elaborately on each song, but I’m not conscious of any differences between bands. 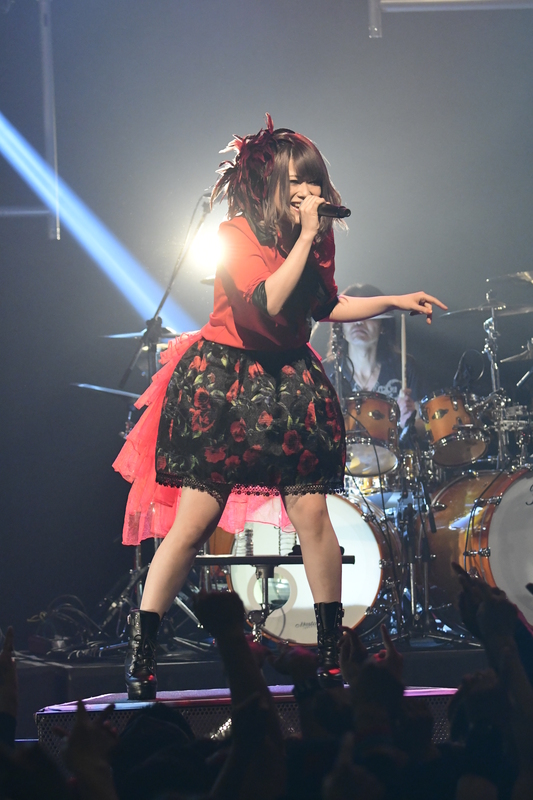 Do you have a particular favorite song from Fuki Commune that you enjoy performing the most? Fuki: If I were to pick one song from the set list tonight, I would choose “Tsuki Ga Michiru Mae Ni”. This is my favorite because there are parts of this song where I sing soft and lovely but also sections where I sing with power. I understand that you have both a new CD single and live DVD releasing March 22nd. Can you tell us a little more about each? Fuki: The new songs on the CD single were among the group of songs from the latest album, so I can say this is a continuation of the last album. There are two songs on the CD. You’ll see both the cool side of Fuki and the lovely side of Fuki on these songs. I wrote the lyrics for both of them. In these songs, you’ll see me as more a pop singer rather than as a heavy metal singer. How have your fans reacted to these different sides of you? 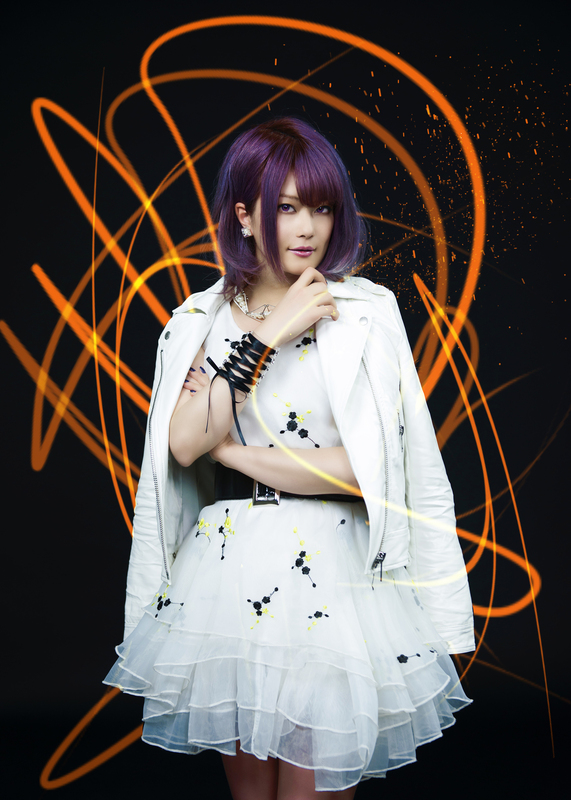 Fuki: I performed two live shows last year, and the new DVD contains both. These shows were my first experiences performing solo, so I was worried how the fans of LIGHT BRINGER, Unlucky Morpheus, and DOLL$BOXX would react. But when the show started, the audience really came alive. Just like the title of the album – Welcome!, they gave me a hearty welcome! I’m looking forward to the release of the DVD, it will let you get to see the moment just as I experienced it. I was very happy to hear that your live performance as Fuki Commune is being released since it gives international fans who are unable to attend your lives a chance to see you perform. I believe your set was over 20 songs and yet you required no breaks! What sort of training or regimen do you follow to achieve such power and stamina? Fuki: I was a long distance runner, and an ekiden runner when I was a junior high school student. I also played basketball for a while, from elementary school through junior high school. So maybe I’m strong enough because I did these things when I was a small child. I’m keen on sports. The live show is like an extension of these sports for me. There’s not a big difference in comparison between running for 30 to 40 minutes in ekiden and performing for about an hour for the solo live show. Of course I get tired, but at the same time I get a big sense of accomplishment, and that’s what keeps me from becoming completely exhausted. In addition to performing in Japan, I know that you recently performed in Malaysia and London. Was it much different performing in front of an international audience versus a Japanese audience? Fuki: I’ve never performed abroad with a band, I’ve only performed at karaoke. That’s the difference. When I sing with a band, the loud sound really makes the people excited. When I performed at Hyper Japan in London, the karaoke sound was not loud enough and the audience looked shy. I tried to excite the audience, but they didn’t really get loosened up so they stayed pretty still while watching the show. On the other hand, in Malaysia, I felt the audience gave me a similar response as in Japan. It might be because the place is nearer to Japan. They seem to know Japanese culture, as if they were anime fan, manga fan, or otaku, and they swung the light sticks! Our readers in America will want me to ask this, is there any possibility of Fuki making an appearance in the United States in the future? Fuki: Yes, I would love to! I don’t have a plan now but I will definitely go to perform in the U.S.
Is Fuki Commune a one time project, or can we expect more albums and songs in the future? Fuki: Fuki Commune is my own solo project and it will take my lifetime. You can expect something new in the future. In addition to Fuki Commune I know that Unlucky Morpheus released a mini EP in January – Black Pentagram. I have to say it really rocks! Can you tell us more about it? Do the songs have a central theme/concept? Fuki: Unlucky Morpheus is one of my lifetime projects and it will be the 10th anniversary next year. The main aim of this project is to do heavy metal and heavy rock music. The composer of the songs for Black Pentagram can compose three categories of music – classical music, heavy metal, and game music/anime songs. The three songs of Black Pentagram contain all of these elements. I think this mini-EP is a work that truly represents the band. Not too long ago you provided vocals on some songs for Nozomu Wakai. “No Surrender”, “Breaking the Fire”, and “Love to Love”. All of them have lyrics in English. Your vocals on these songs are superb. Were there any challenges for you singing in English versus Japanese? 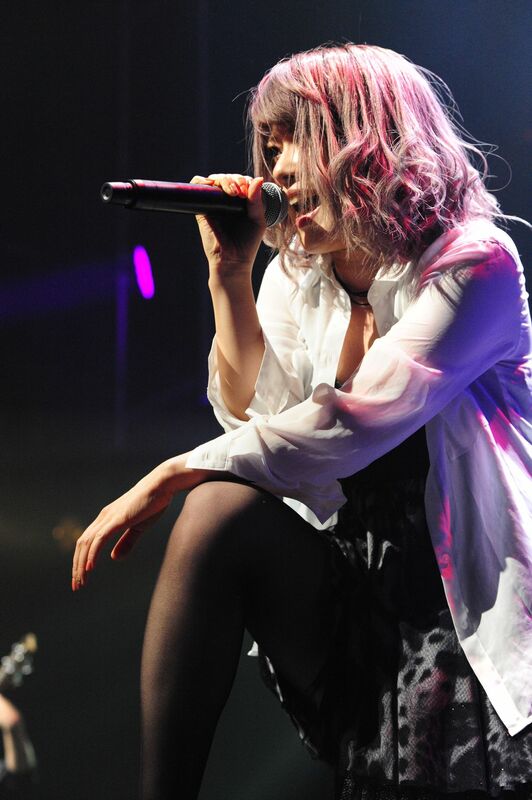 Fuki: It’s completely different singing in Japanese and in English. Japanese is a language which requires the articulation with opening one’s mouth widely and pronouncing each sound clearly. It has characteristically only five vowels. For Japanese people, English contains vague pronunciations and movements of the tongue. English words are connected with a flow of each sound and not clearly separated for each syllable like Japanese. So singing in Japanese makes the voice brighter. I feel singing in English suits better to Mr. Wakai’s songs. It was a great experience for me to sing for him, but it’s difficult to sing in English, I feel I need more training. To tell the truth, an interpreter was beside me and guided me when I recorded the songs. I am not sure if you’re aware but DOLL$BOXX is very popular in the west. What’s it been like the past few weeks performing with KOGA, Hana, TOMO-ZO, and Oreo again? Was the DOLL$BOXX collaboration with Gacharic Spin a one-time collaboration or is there a possibility of having new DOLL$BOXX material in the future? Fuki: Actually, we have something to announce to the audience at the end of the show tonight. We’ll start moving toward something new this summer. Please wait for it! Fuki: We would love to do this, but we don’t have anything scheduled at the moment. DOLL$BOXX is an ongoing project so we would very much like to go overseas by all means if there is a chance. We would appreciate it if you could invite us. As a performer what plans and goals do you have for the future? Fuki: My motto is to go full force every single day, and to do my best every time, everywhere, so I’ll have no regrets. I keep all that in mind and all my goals come from there. Thank you so much for your time, have a great show tonight! Fuki: I’ll do my best!